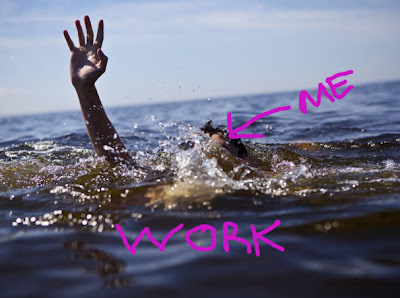 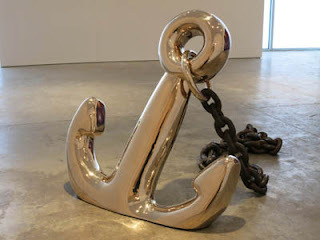 This post is long on pictures with just enough information to get you to the sources that show you more. 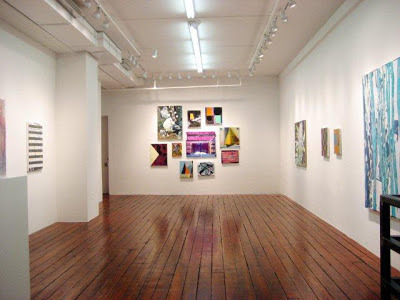 With Armory week looming, I still have a lot more to show you from the past several weeks--not just from Chelsea, but from the Lower East Side and Bushwick--and I want to show you several strong group shows as well. 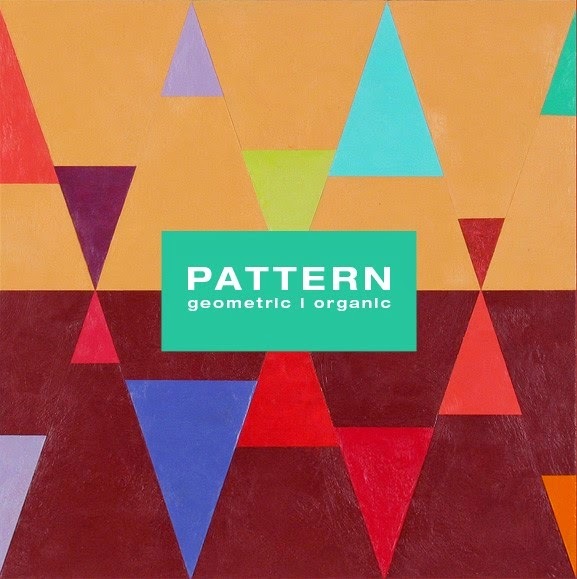 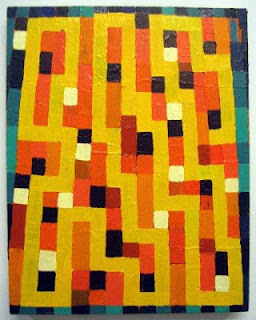 I've posted images here in a visual stream to embrace the lush, sweeping, lyrical, organic and geometric. Stephen Antonakos solo, Pillows 1962-63, at Lori Bookstein Fine Art, through March 16. 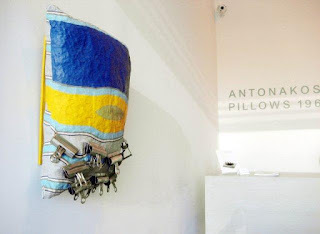 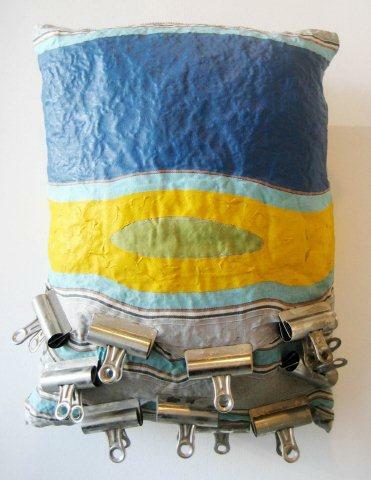 Mixed- media assemblages with pillows that have been painted and otherwise acted upon by clips, nails, clamps and other hardware. Fifty years old? 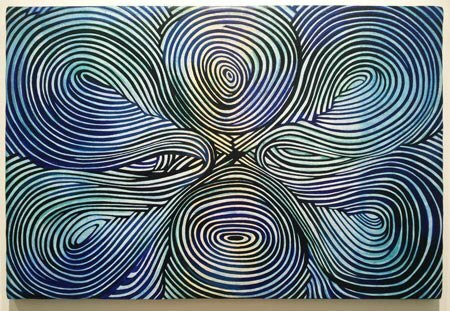 To my eye many of these works have an immediacy and freshness that speak to insomnia, maybe nightmares and possibly the occasional pleasant dream. 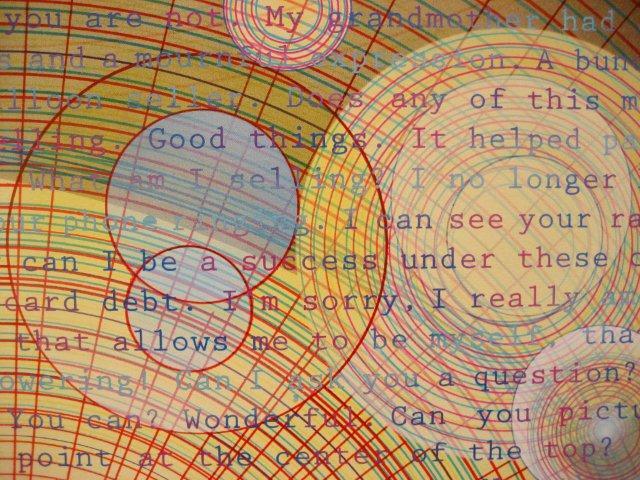 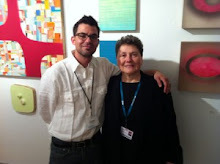 Mara Held solo at Gary Snyder Gallery, through March 2. 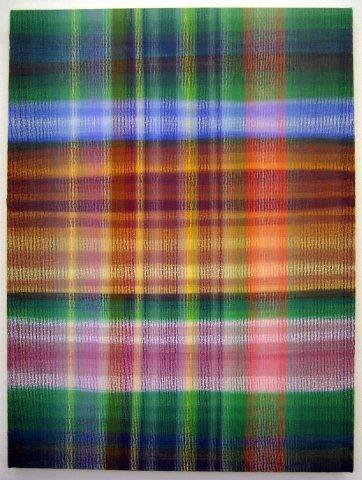 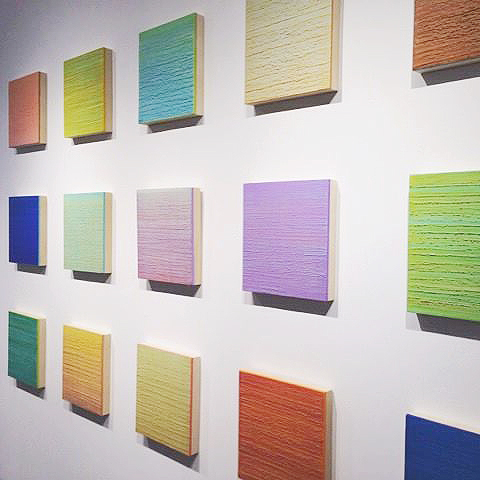 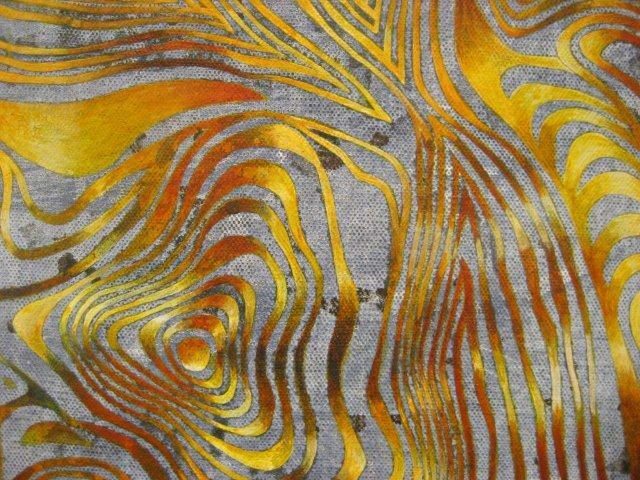 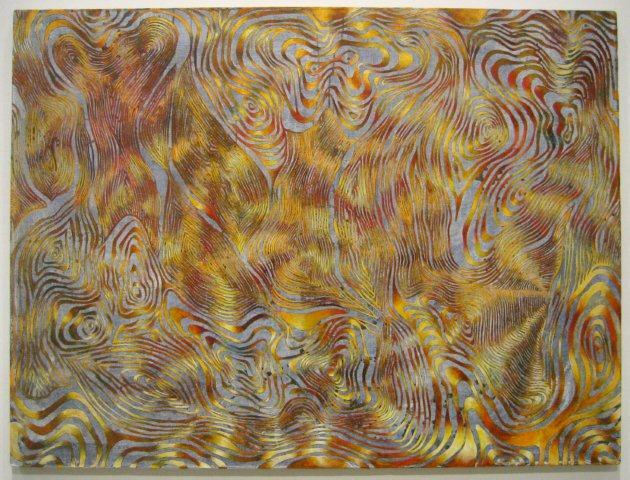 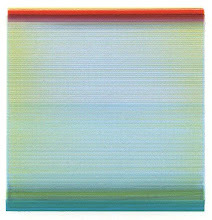 Held's fluid works in egg tempera on linen have a printerly quality, specifically that of Japanese woodblock. 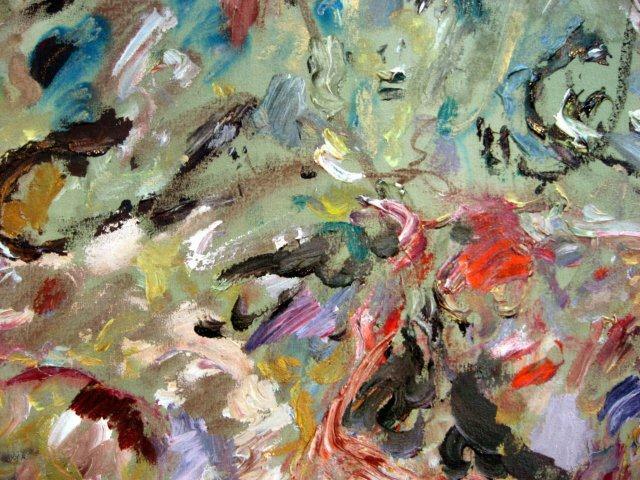 Their easel size allows for intimate viewing, and I have included a detail to show you what I mean. 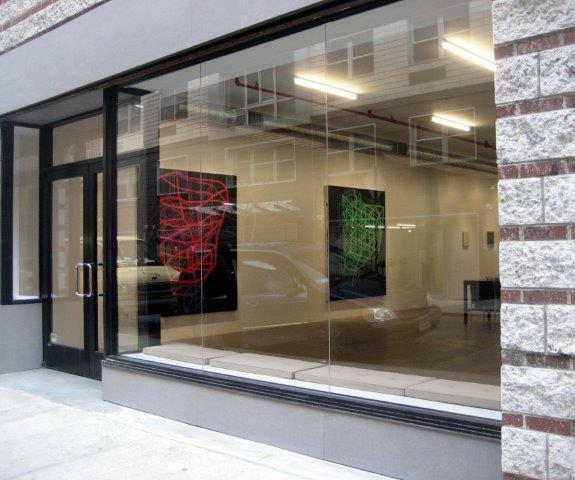 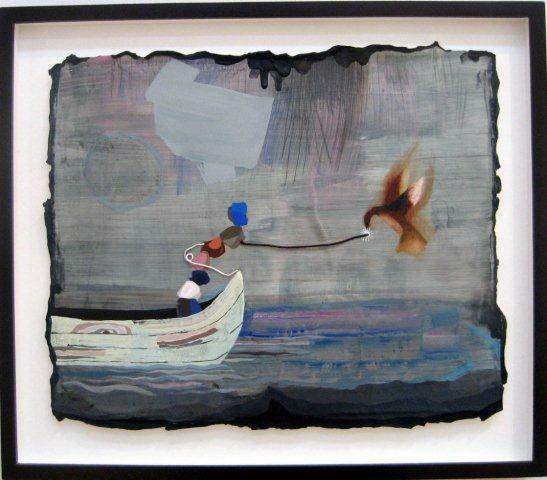 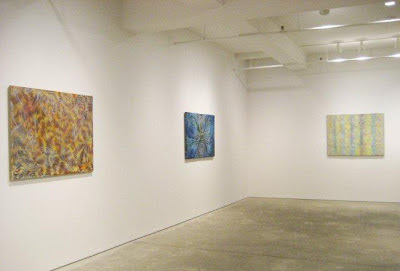 Matthew Weinstein solo, The Celestial Sea, at Sonnabend Gallery, up now; no closing date posted. Weinstein's mixed-media installation (sculpture, video and paintings) suggest the otherworldly which is anchored, literally (sculpture below), to this one. 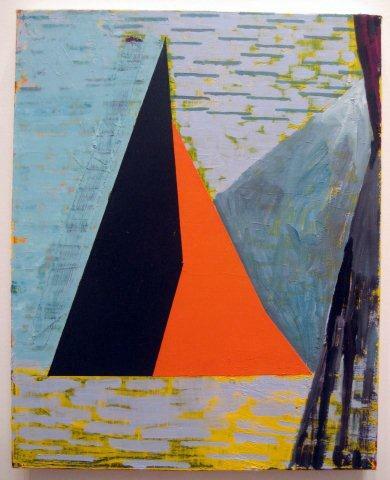 Todd Kelly solo, My Own Personal Rebus, at Asya Geisberg Gallery through March 9. 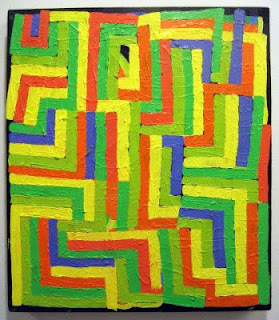 The uniform size of the paintings and a fairly saturated palette are the hints that this is not a group show but the work of one artist. 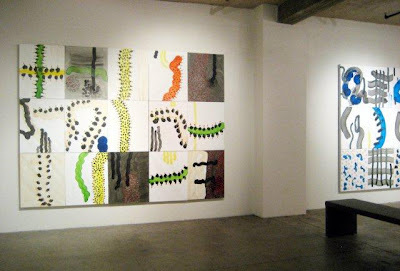 The logic of the installation, each grouping a sequence of geometric compositions, abstractions and still lifes, keeps you moving and looking. 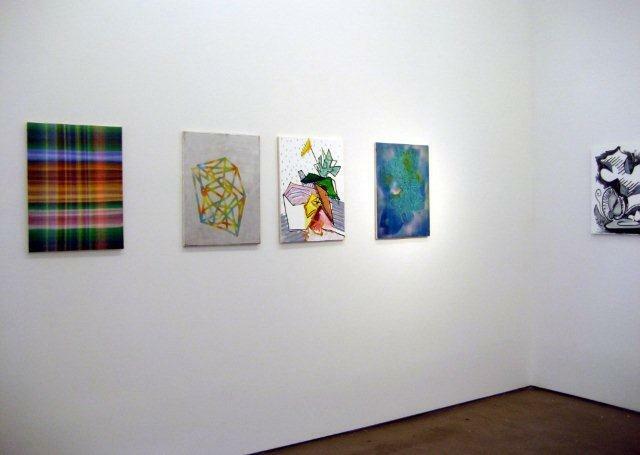 Above: Grid Painting 2, shown below installed with others. 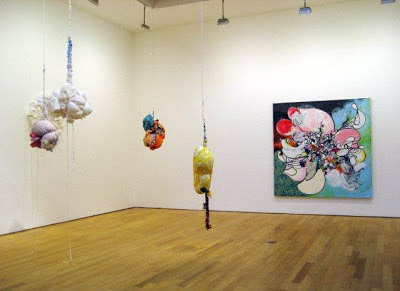 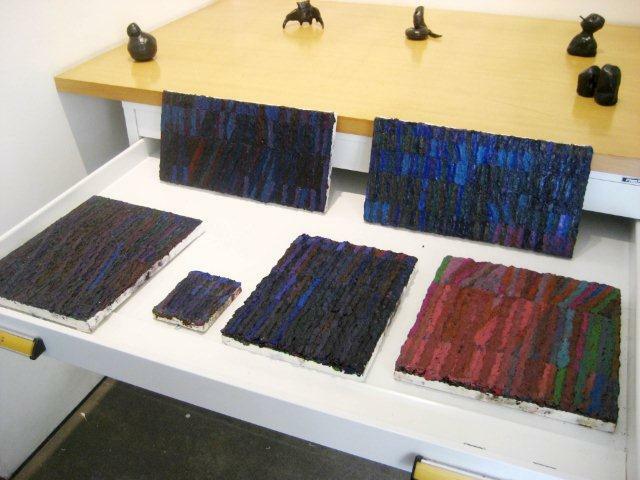 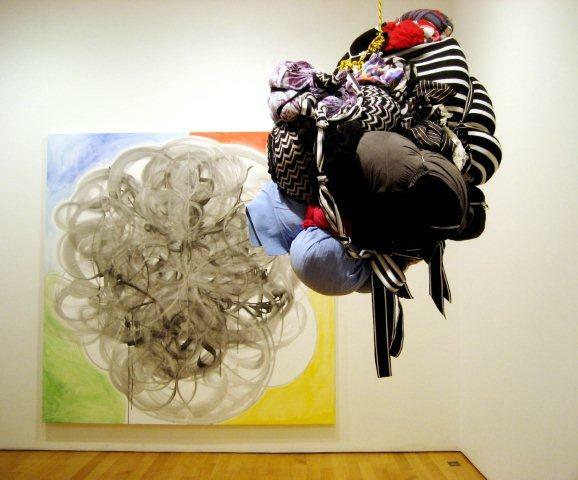 "My randomnly created pieces sit next to each other, grow familiar, and become inexplicably linked," says the artist. 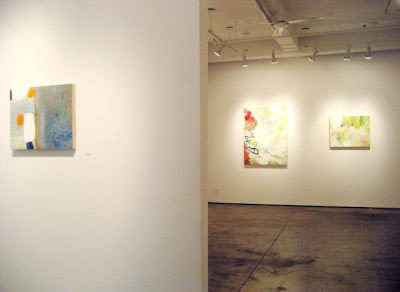 Peter Wayne Lewis solo, Paintings from Middle Earth Part IV, at Skoto Gallery. The show is now over, but you can see more on the gallery's website and peruse the online catalog. 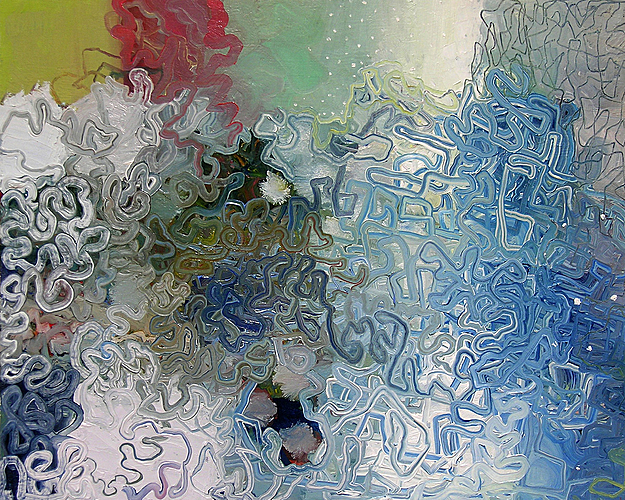 Lewis paints multipart compositions fairly bursting with energy, which he brings together with fluid grace. 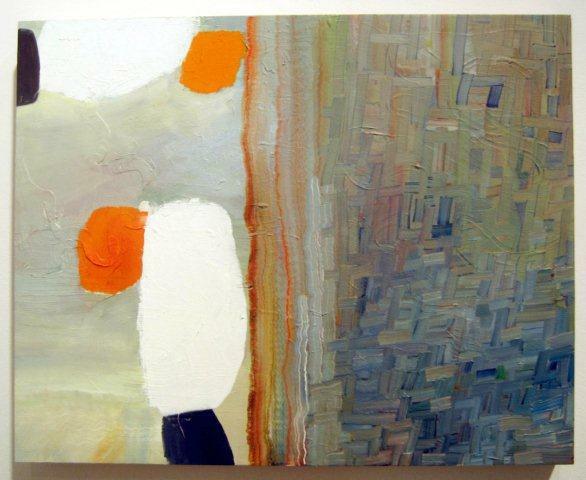 Jazz and haiku come to mind. 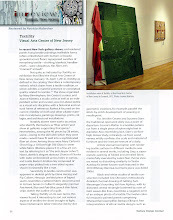 Josette Urso solo, Snow Day, at Markel Fine Art through March 9. 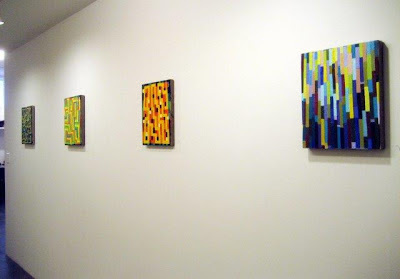 I'm enamored of her beguiling color sense, the lights and darks that she meshes so easily, and the disparate compositional elements that she brings together into individual paintings, like, the ones below. Jered Sprecher solo, I Always Lie, at Jeff Bailey Gallery through March 23. 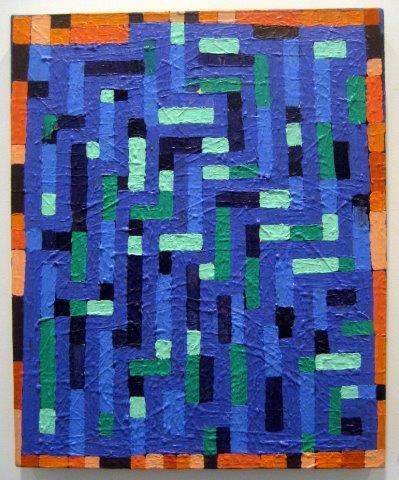 I find Sprecher's aesthetic appealing, a quirky mingle of geometric and painterly surface. 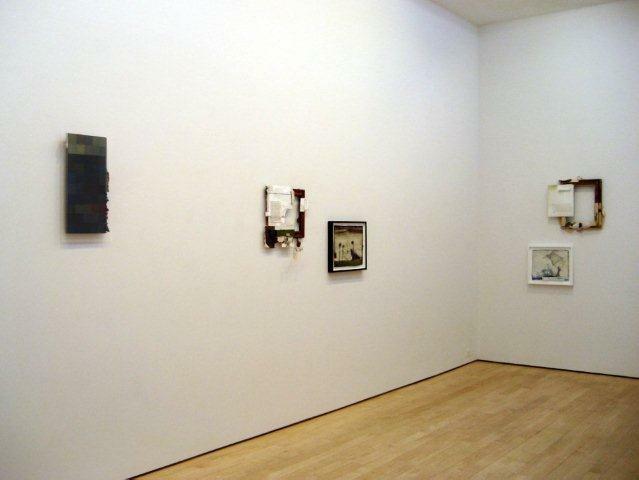 In these mostly small to easel-size works, the conversation is both amiable and raucous. Both images shown below are visible in the installation on the far wall. 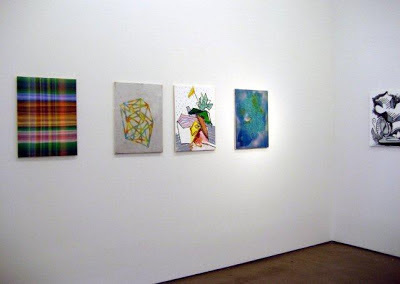 Douglas Witmer's solo, All Kinds of Ways to Your Garden, at Blank Space is over, but you can see installation views and selected works on the gallery website. Witmer's formal exploration of color and surface yield a rich range of results from elements that he has been working and reworking for some time. 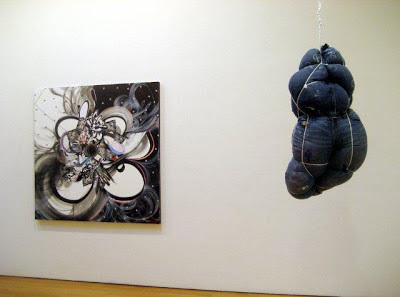 Subtlety sustains the bold statement (and vice versa). 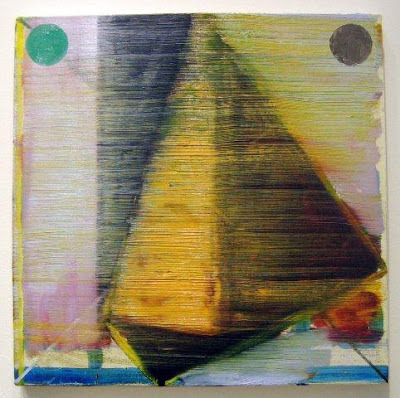 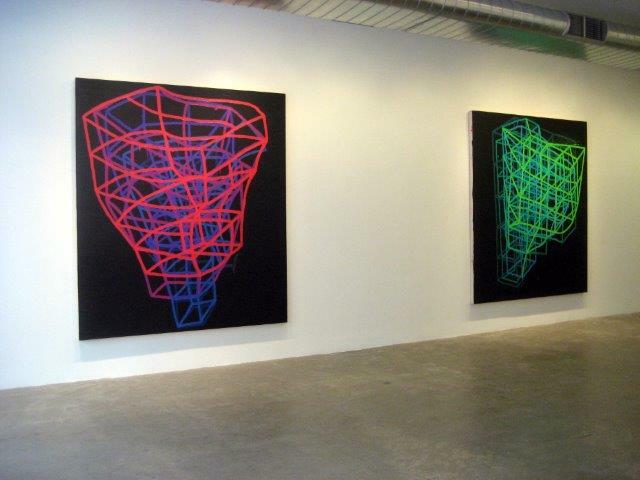 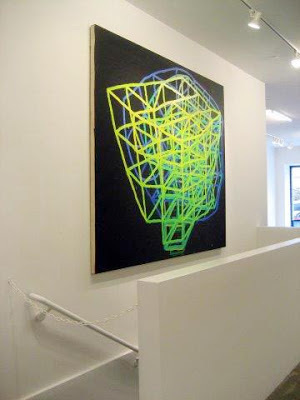 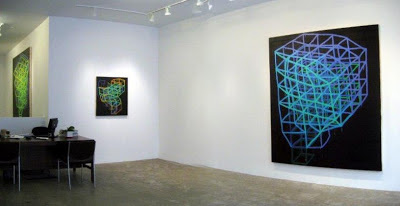 Brett Baker's solo, Paintings, at Elizabeth Harris Gallery ended on February 2. I missed it, but these two paintings were hanging side by side in the office, and I got to see several small works that were being stored for viewing in a flat file. 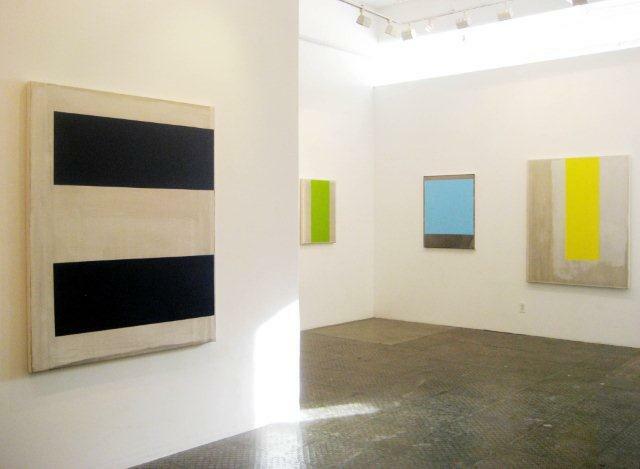 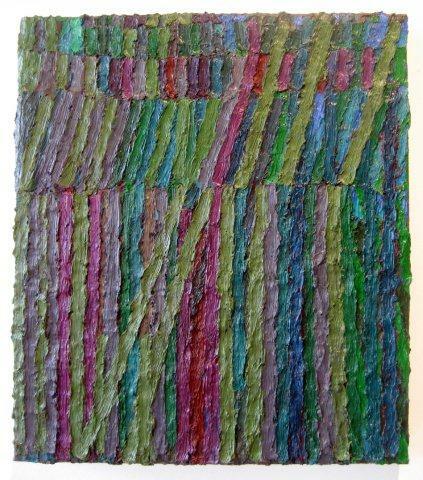 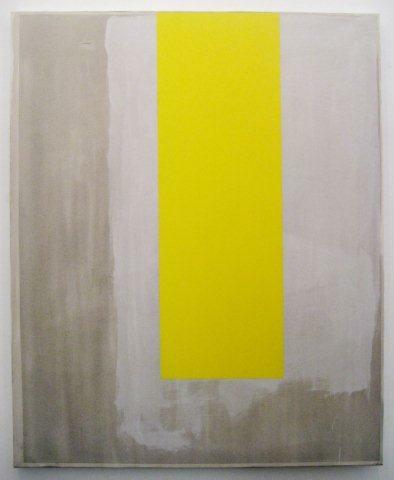 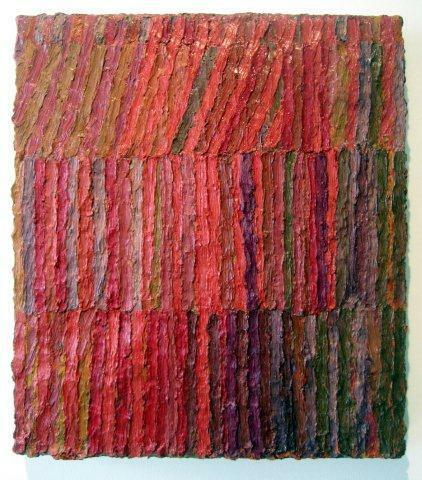 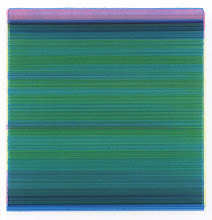 Baker is a master of the chromatic mark, the dense surface, and a repetition that pulls you deep into each painting. 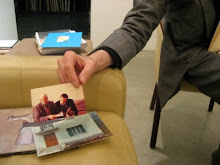 The small size (some as tiny as 5 x 4 inches) make the viewing all the more intimate. 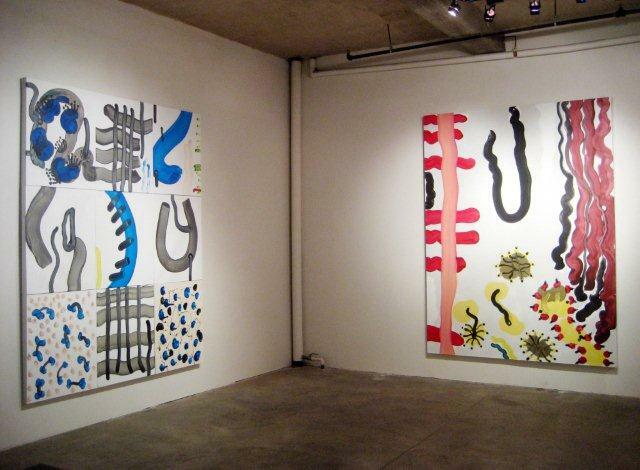 Jennifer Wynne Reeves solo, The Worms in the Walls at Mondrian's House, at Bravin Lee Programs, through March 23. The combination of abstraction and implied narrative is strong, but it is the sensuality of Reeves's paint and palette that bowl me over. 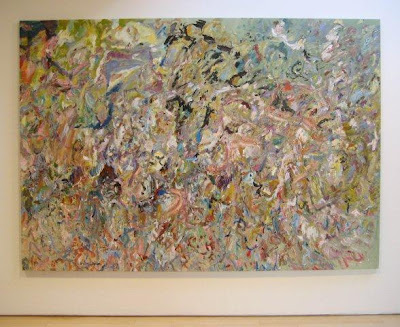 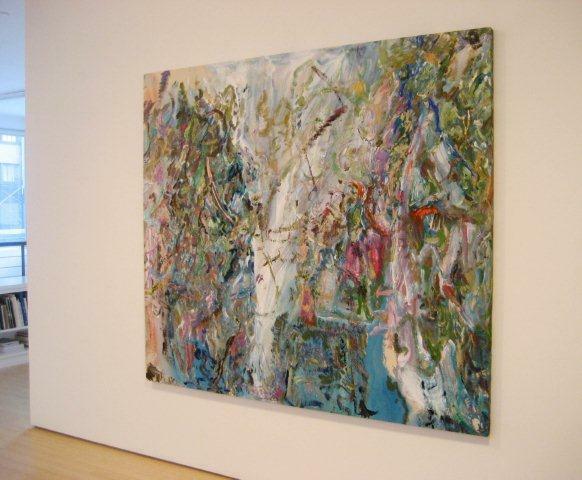 Larry Poons, New Paintings, shown jointly at Danese and Loretta Howard Gallery. The exhibition ended March 1, but you can peruse an exhibition catalog here. 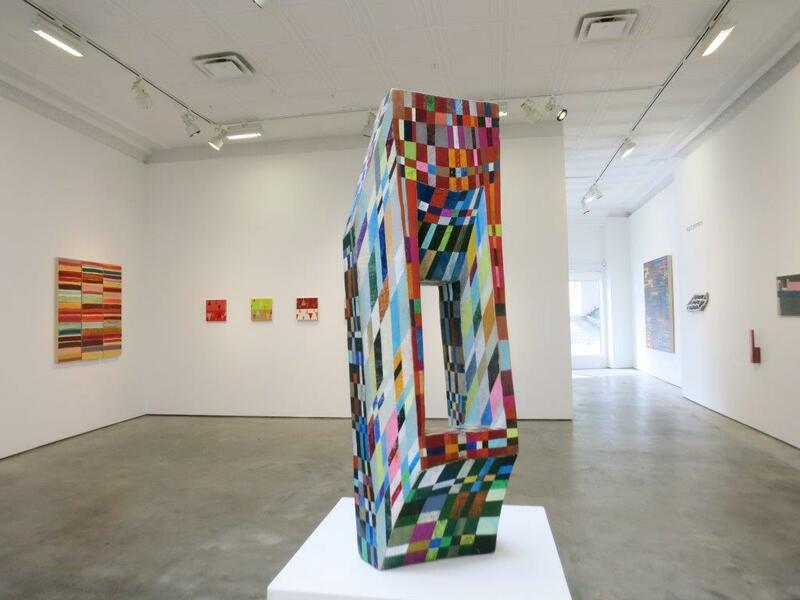 Shinique Smith solo, Bold as Love, at James Cohan Gallery through March 16. Smith is known for her evocative bales of fabric. 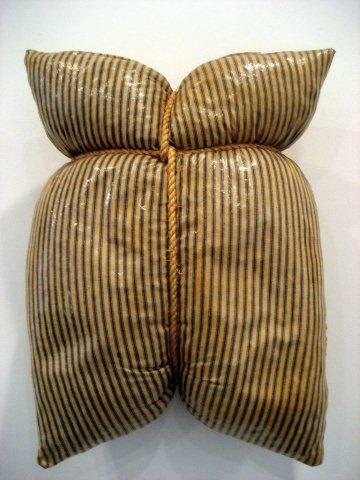 In this body of work, body seems to be the reference, not only because the sculptures are made with clothing but because they suggest the mass of Wilendorfian torsos. 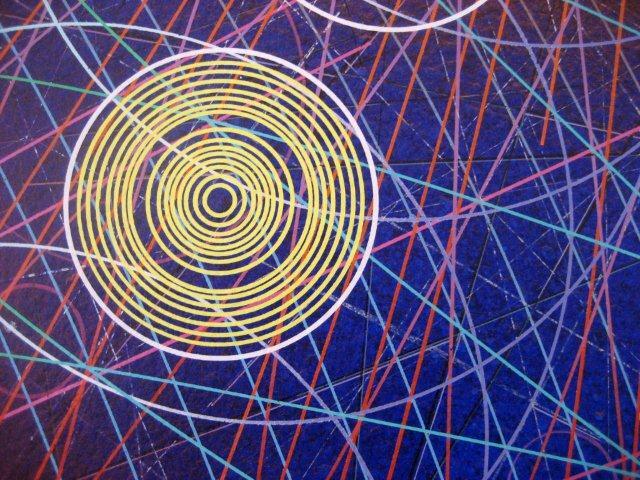 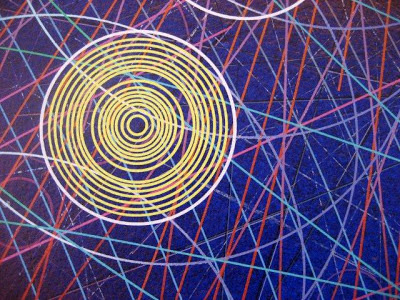 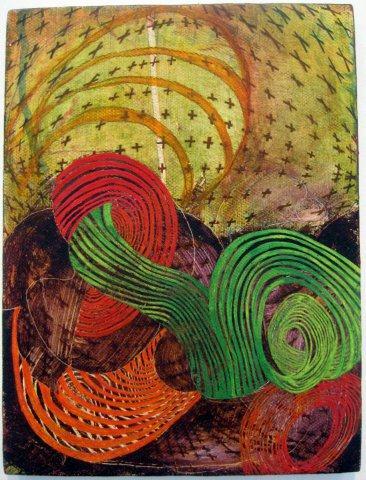 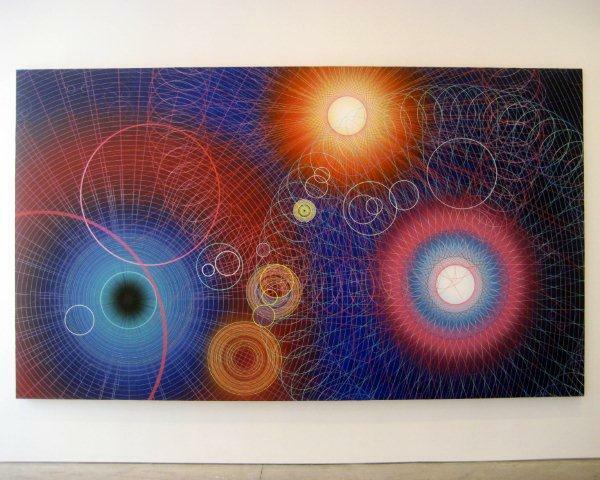 New for me was seeing Smith's paintings, energetic compositions that seem to draw from the form of the mandala. 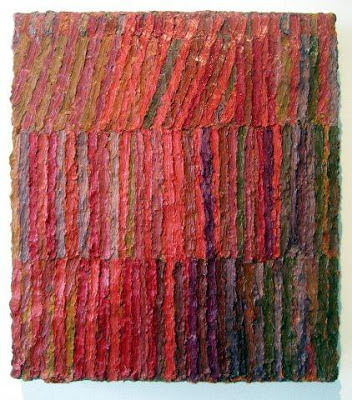 I don't think I would love them on their own, but the point/counteroint with the sculptures--shape to form, color to mass--is pretty great.